We’re about to watch the finale of the 4th season of Downton Abbey. We skipped watching it live last night. 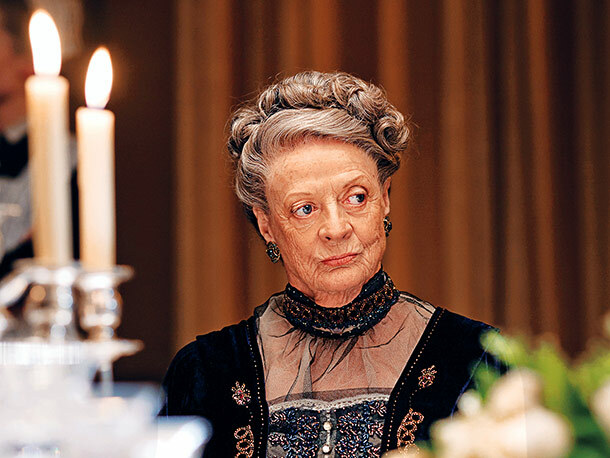 We’ll watch it on-demand tonight instead so we can pause to refill a wine glass or rewind one of the Dowager’s zingers. How is the season already over? We binge-watched the first three seasons, and I guess I didn’t realize how few episodes are in each. I haven’t loved this season as much as previous ones (there was a real “jumping the shark” moment with the whole swine rescue/mud fight scene – “jumping the pig,” if you will), but it’s still one of my favorites, so I’m sad to not have new episodes to watch. But not too sad, because we have plenty of other shows to keep us busy. Which makes me wonder what took us so long to get rid of cable. (We finally did four months ago when we moved into the new house.) Dropping our standard package has saved us about $70/month. And aside from a few basketball games, I haven’t missed it one bit. Considering how much I love TV, this has been a very pleasant surprise. Many of you have probably already cut the cord, too. But for those of you considering it, but not sure if you could do it, let me say: If I can do it, anyone can. The only thing I thought I’d miss more than Marquette basketball was the Today Show. I know, it’s gotten so bad, and most mornings I only get to listen to it for five minutes while brushing my teeth. But there’s just something about watching TV in real-time. I like seeing my regular weather guy every morning and making snide comments about the local newscasters at night. I’m old fashioned that way. And I still get a little thrill watching the cold open of Saturday Night Live at 11:29 p.m., even if I can’t stay awake past the monologue and have to watch the rest the next day. Have you seen Kate McKinnon’s Justin Bieber? Perfection. Anyway, that’s why it was critical to me that we were able to access network channels. Our old house was low-lying, and the rabbit ears we bought for our guest room could only pick up the local PBS channel. The elevation of our new house isn’t too different, but this antenna ($70) sure is. We get all the network stations, three PBS stations, a “country” station, a handful of Spanish-language channels and several more that allow us to catch up on old movies and episodes of Rhoda, Maude and WKRP in Cincinnati. The Roku is a small device that allows you to stream the Internet to your TV. We have the basic model, which cost $50 and is really simple to use. This includes some free channels as well as paid subscriptions (which I’ll get into more below). Crackle – They have a small selection of movies. 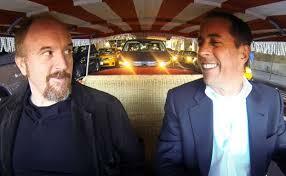 The only thing we’ve really watched here is the series Comedians in Cars Getting Coffee. As the name suggests, each short episode is Jerry Seinfeld riding around in a car and having coffee (which includes this really annoying B-roll footage of coffee being made) with another comedian, like Larry David, Louis CK or Tina Fey. Aside from that weird coffee footage, I really like it. PBS – This is where I get my Downton fix the day after the episode airs. I’m also interested in checking out Sherlock. They have PBS kids, too, but we watch most of those shows elsewhere. Netflix ($8.59/month for streaming only) We’ve kept pretty busy with House of Cards and Orange is the New Black. Also, tons of kids shows and movies, and a decent selection of movies (though not a ton of new releases) for Pat and me, as well. Hulu Plus ($7.99/month) I think of Hulu Plus as my DVR. We mostly use it to watch recent episodes of new shows, like Nashville, The Mindy Project, Saturday Night Live, The Daily Show and The Colbert Report. Amazon Prime $79/year ($6.58/month) We were already paying for this to get free two-day shipping. The fact that it comes with some good free TV and movies was a nice bonus. We used this to catch up on the first three seasons of Downton, and watched several episodes of Californication before it mysteriously disappeared from Prime. We will probably also turn to Amazon to keep up with the new season of Mad Men. We’ve come this far; I need to keep up with the final season even if it I have to pay a couple bucks per show. Having kids renewed my relationship with the library. (That pun was not intentional, but I’m glad it happened.) Over the last few years, I’ve used it weekly for story hour and books for the kids and myself (both paper and electronic). But I didn’t start borrowing DVDs until very recently, when Rory brought them to my attention with a shopping-spree style sweep of a shelf of kids movies. 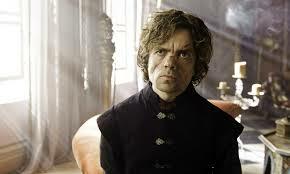 Game of Thrones only confirmed my longtime crush on Peter Dinklage. Our big library find has been Game of Thrones. We’ve finished the first two seasons and I’m eagerly awaiting the availability of the third. We’ve also borrowed kids movies like Finding Nemo and Babe (okay, fine, Babe was for me) and those HBO movies that are always winning Emmys like Behind the Candelabra, Game Change and You Don’t Know Jack. In past years, Pat and I have ponied up for the college basketball package that beamed every Marquette game straight to our living room. This year, without cable, it’s been tough: I’ve seen two games that Fox aired nationally. For many others, I’ve relied on 540 ESPN Wisconsin radio on my computer. It’s a nice experience. 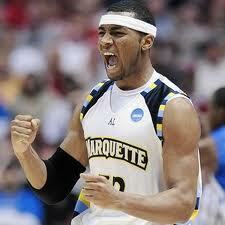 I like the local announcers, who know the Marquette team well. I like the tinny local advertisements. And listening to games on the radio makes me nostalgic. It reminds me of my dad sitting in his car in the driveway, his seat reclined, listening to baseball games. He said he could get better reception out there, but now that I’m a parent, I wonder if he chose the car because it was the only place he could listen to the game in peace. Well, I’m off to watch the final episode of Downton. Let’s hope there are no mud fights. Cable? No cable? How do you get your TV fix? What am I missing? And did Downton jump the shark with that pig scene, or what? Lazar Dillon? I like it! I love alllll these options!! However even with Netflix and Amazon Prime we will never ever give up cable unless my husband gets season tickets to TarHeel basketball games (note: that will never happen). We’re about 5 eps behind on Downton and to be honest I thought last season was the jump the shark or the Matthew moment. But I agreed to give the 4th season a shot, then I had a baby and TV stopped being important. Oh and Sherlock is fabulous. Have you ever considered creating an e-book or guest authoring on other websites? I have a blog based on the same topics you discuss and would really like to have you share some stories/information. I know my viewers would enjoy your work. If you’re even remotely interested, feel free to send me an email.